The factory is said to have had an asbestos roof, which caused concerns that the dangerous substance had been released into the air.bandoned factory. The Vincent council has been significant part of the costly clean up since the explosion; going so far as to pay for the private firm Parsons Brinckerhoff to install several air-testing monitors. 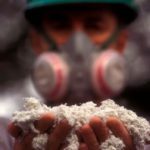 Despite the site being declared safe with regards to asbestos exposure right now, there are still concerns that the construction to be done in the aftermath of the explosion could dig up asbestos dust. Airborne monitoring at the site is expected to continue during the demolition, which is expected to start within the next few days and last slightly more than a week. Vicent CEO John Giorgi stated their intention to inform the concerned community of the current status of the clean-up since some residents were concerned when the council made no effort to contact them regarding any health risks. The clean-up is expected to cost the council between $130,000 to $150,000 because of the need for a demolition and precautions pertaining to asbestos.